I went up to Oakland to see my family on this gorgeous day. 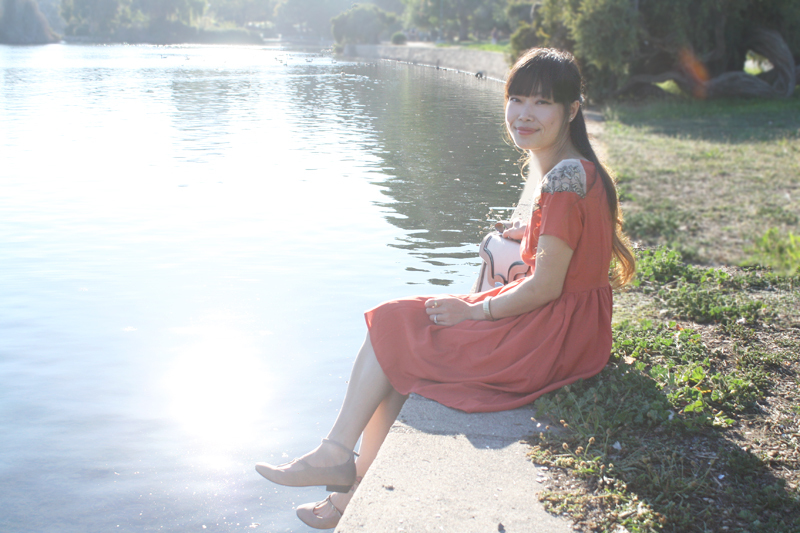 We first went to Bacheeso's on Grand for some delicious Mediterranean brunch, then we went to the botanical garden, and lastly stopped by Lake Merritt to snap a few photos before heading to dinner. 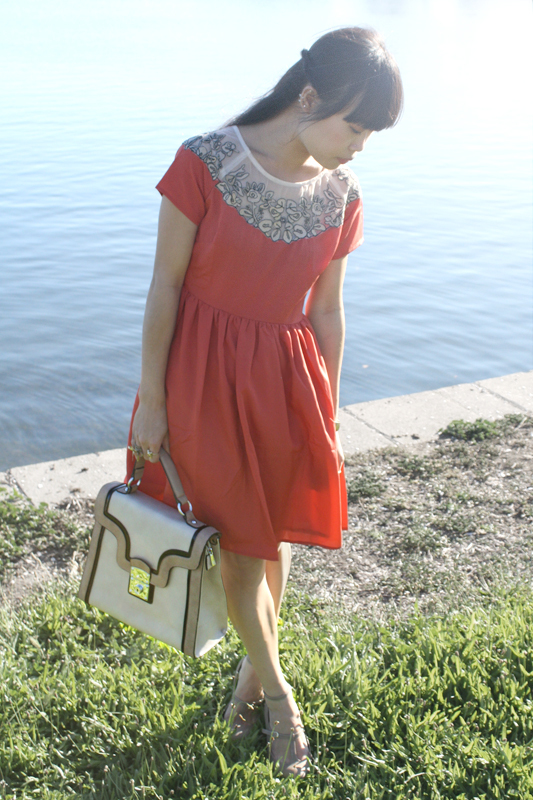 I absolutely adore this little dress! 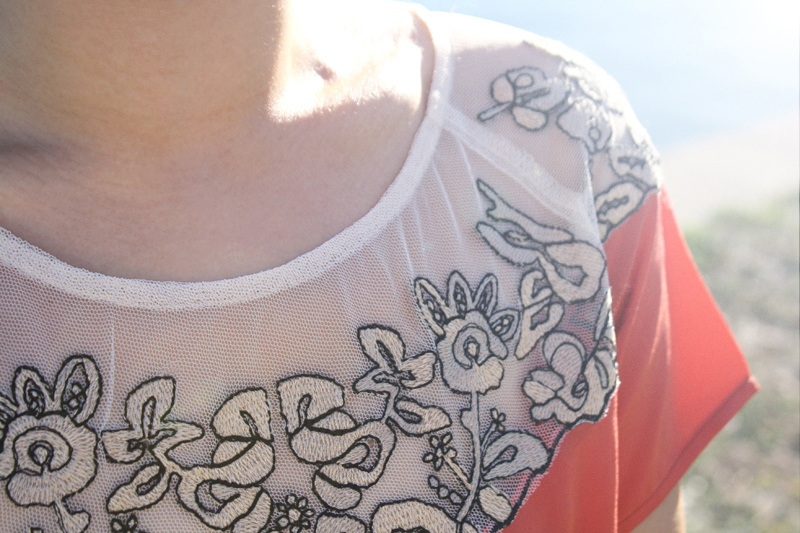 The embroidered details along the neckline is so so so pretty, and the rust orange color is lovely too! I kept the rest of the outfit simple with a matching handbag and strappy flats. Oh, don't you just love that little duck in the picture above? 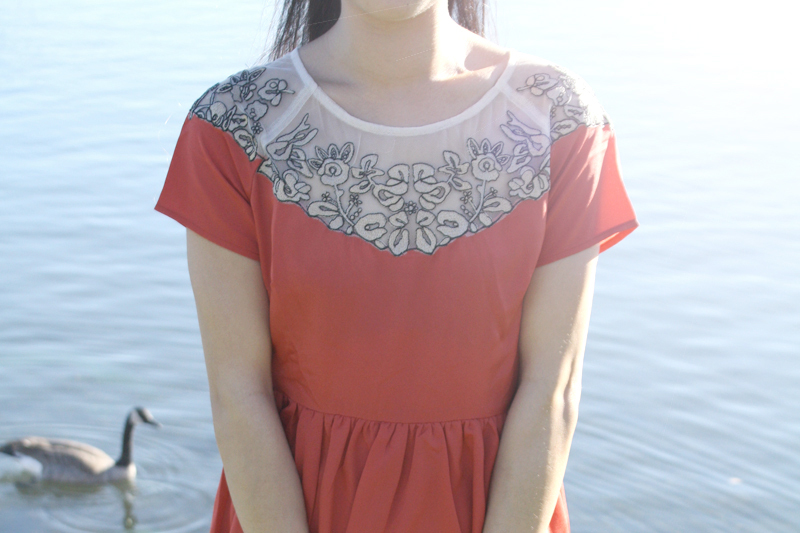 Floral embroidery dress by Aniina from my work Sway. Kiera handbag by Melie Bianco from Piperlime. Strappy flats by C.Label from my work Sway. I love the last photo, and your dress is lovely! what a gorgeous location, and love the bag!